Burundi’s opposition party leader – Zedi Feruzi has been shot dead alongside his bodyguard in Bujumbura, a leading opposition figure has confirmed to Al Jazeera. Leading opposition figure, Agathon Rwasa, said there is no information about who is responsible for killing Feruzi, but is on record to have spoken out against President Pierre Nkurunziza’s decision to stand for a third-term in office. “We heard around 20 gunshots, everyone fell to the ground, people saw a Toyota car speeding away,” said a neighbour, who did not witness the shooting himself. Around an hour after the attack police had yet to arrive at the scene, according to the AFP news agency. 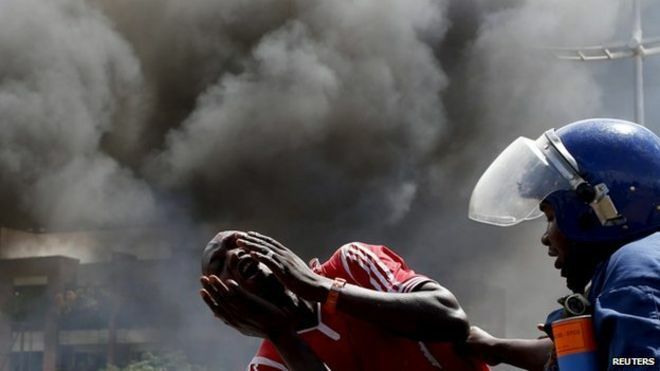 (Photo: Police brutality in Burundi). 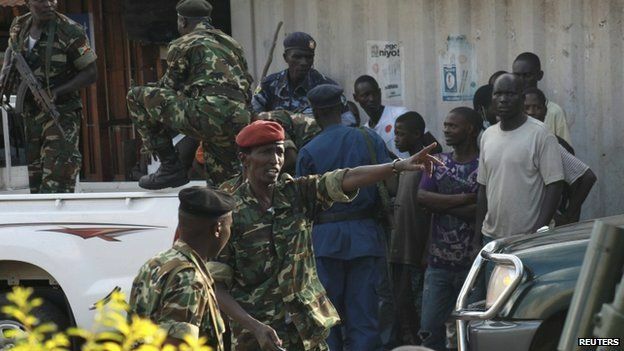 Saturday’s assassination will add to tensions in Burundi after a month of protests against President Nkurunziza. More than 20 people have died in anti-government protests since the president’s announcement to stand in late April.